Україна – країна у Центрально-Схiдній Європі, розташована у південно-східній частині Східноєвропейської рівнини. Має спільні державні кордони з Росією на сході та північному сході, з Білоруссю на півночі, омивається Чорним та Азовським морями на півдні. На заході межує з Польщею та Словаччиною, на південному заході – з Угорщиною, Румунією та Молдовою. З Румунією та Росією Україна має не тільки сухопутний, а й морський кордон. Також через море Україна межує із Республікою Болгарія, Туреччиною та Грузією. Площа виключної (морської) економічної зони України становить понад 82 тис. км2. Найбільшими чорноморськими портами є Одеса, Іллічівськ, Херсон, Севастополь, азовськими - Маріуполь, Бердянськ, Керч. Загальна протяжність кордонів 6992 км (із них сухопутних 5637 км). Довжина морської ділянки кордону: 1355 км (по Чорному морю – 1056,5 км; по Азовському морю – 249,5 км; по Керченській протоці – 49 км). Ukraine is a country in Eastern Europe. 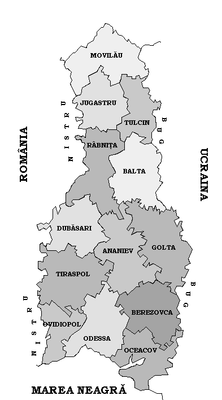 It borders ► Russia to the north-east, ► Belarus to the north, ► Poland, ► Slovakia and ► Hungary to the west, ► Romania and ► Moldova with ► Gagauzia and the break away republic of ► Transnistria. to the south-west, and the Black Sea and Sea of Azov to the south. The historic city of Kiev (Kyiv) is the country's capital. Ukraine has one autonomous republic, ► Crimea. More images Ukraine - Ukraine (Category). This section holds a short summary of the history of the area of present-day Ukraine, illustrated with maps, including historical maps of former countries and empires that included present-day Ukraine. Map of the Western (purple) and Eastern (blue) Gokturk khaganates at their height, c. 600 CE. Lighter areas show direct rule; darker areas show spheres of influence. Kievan Rus' was formed around 884 in an area that comprises now parts of Ukraine, Belarus and Russia. European territory inahibted by East Slavic tribes in 8th and 9th century. Grand Duchy of Lithuania, Rus' (Ukraine) and Samogitia (1386-1434). In 1386 Poland and Lithuania formed a Polish-Lithuanian personal union, succeeded in 1569 by the Polish-Lithuanian Commonwealth. Large parts of present-day Belarus and Ukraine were part of Poland-Lithuania. This map shows the borders in 1466 except in the south-east (which it is wrong about Principality of Moldavia where wasn't a part of the Polish kingdom but a vassal distinct state, allied with Poland). The Southern part of the commonwealth became after the partitions part of Austria, that formed in 1867 the Galicia (Central Europe) (nr. 6) as part of the Austria half of Austria-Hungary. Bug (river)|Bug]] rivers and Black Sea coast. The region was divided into 13 judeţe (counties). ↑ Romanization of Ukrainian according to the official Ukrainian standard: Ukrayina. Another romanization is the ISO 9 standard. ↑ Romanization of Ukrainian according to the official Ukrainian standard: Kyyiv. Another romanization is the ISO 9 standard.. For the English translation both Kyiv and Kiev are used.